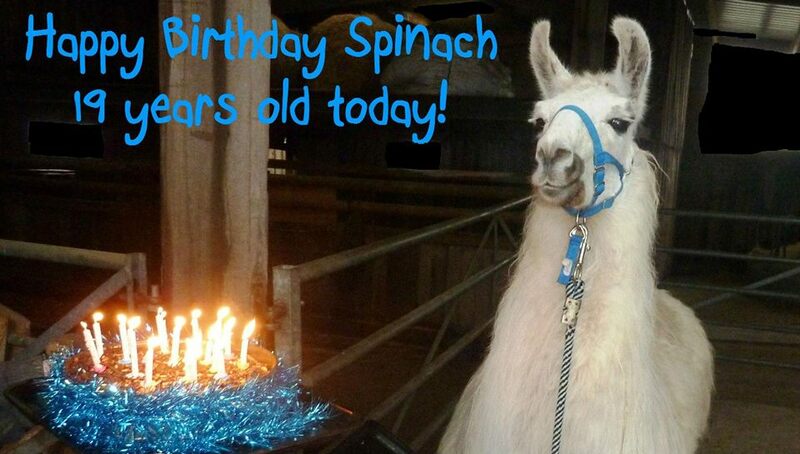 This morning we baked a llama cake made from llama mix and sugar beat for our most senior member of our llama herd… Spinach, who is 19 today! Spinach is still working, taking children and special needs groups out trekking on the farm and is one of our most valued members of the trekking team. Spinach has been a true mascot for Catanger Llamas in the past… Starring as the llama in the CBeebies; Horrible Histories episode, promoting us in London on various occasions, travelling round to numerous shows and he has even earned a Blue Peter badge! This old boy has really seen life… Happy Birthday Spinach, here’s to taking it easy… Enjoy your Birthday cake!